Since the pioneering work of Birkhoff and von Neumann, quantum logic has been interpreted as the logic of (closed) subspaces of a Hilbert space. There is a progression from the usual Boolean logic of subsets to the “quantum logic” of subspaces of a general vector space–which is then specialized to the closed subspaces of a Hilbert space. But there is a “dual” progression. The set notion of a partition (or quotient set or equivalence relation) is dual (in a category-theoretic sense) to the notion of a subset. Hence the Boolean logic of subsets has a dual logic of partitions. Then the dual progression is from that logic of set partitions to the quantum logic of direct-sum decompositions (i.e., the vector space version of a set partition) of a general vector space–which can then be specialized to the direct-sum decompositions of a Hilbert space. 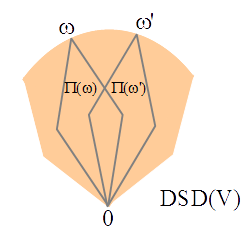 This allows the quantum logic of direct-sum decompositions to express measurement by any self-adjoint operators. The quantum logic of direct-sum decompositions is dual to the usual quantum logic of subspaces in the same sense that the logic of partitions is dual to the usual Boolean logic of subsets. This paper is published in the Logic Journal of the IGPL.